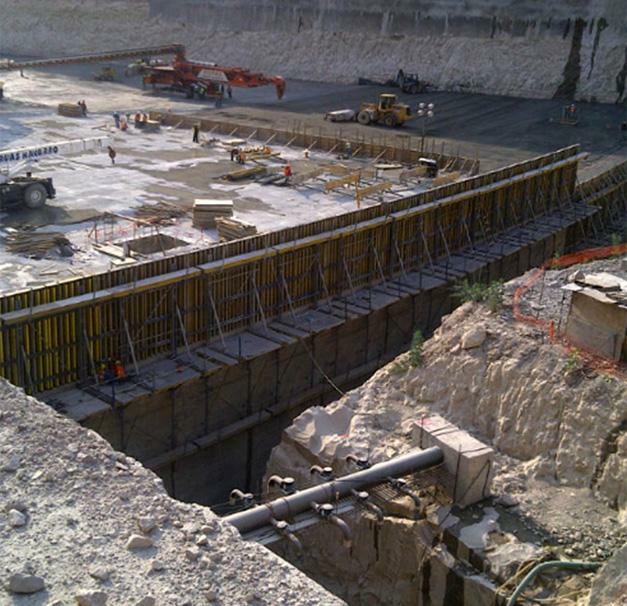 Top 50 system as contact load-bearing tower for the upstream dam with Climbing scaffold MF built with special anchoring systems produced in Mexico. 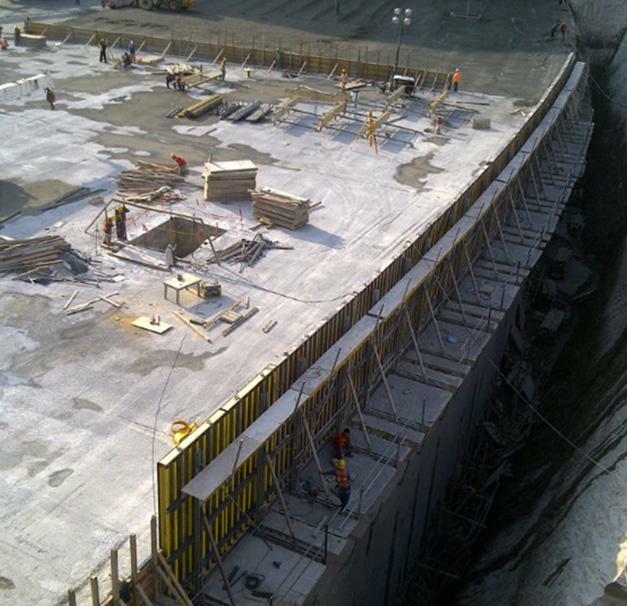 The total dam height is 100 m, with layers poured in 30 cm increments. 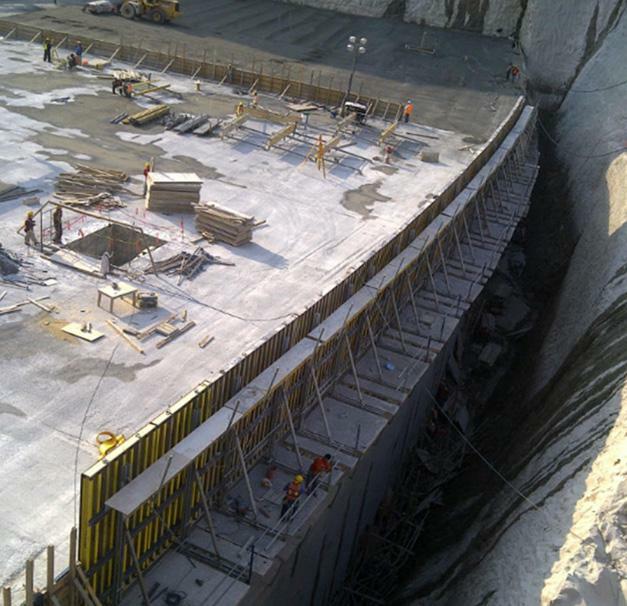 Thank you for your interest - Zapotillo Dam. Thank you very much for your interest - Zapotillo Dam.